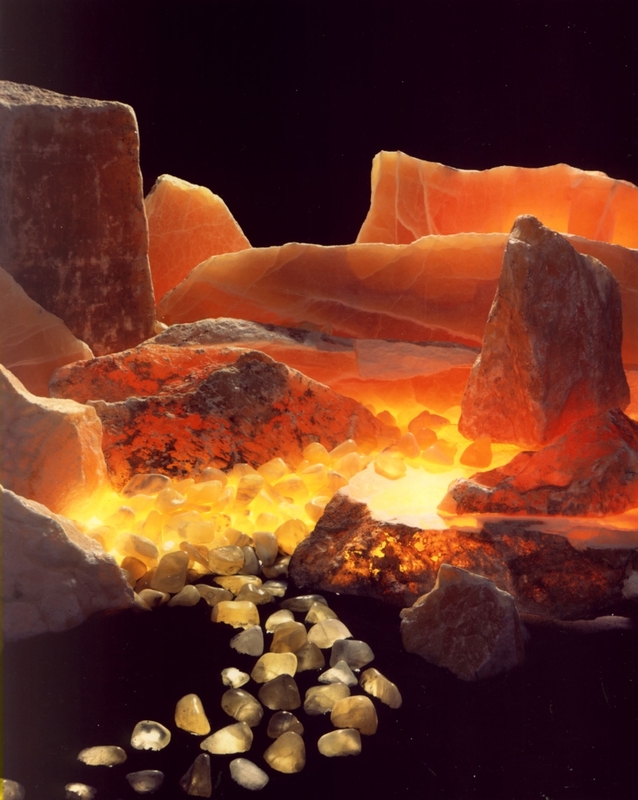 Back in 1995, valuable calcite deposits were discovered in Northern Utah and Shamrock Mining Associates would gain the exclusive mining rights to Utah’s beautiful Amber Onyx, also called Honey Onyx or Honeycomb Calcite. The “explorer” who made the discovery was Floyd Anderson, now a vibrant 95-years-old. He has a PhD in family relations and psychology, and was looking for an adventure that was different from his career in higher education, when he got an invitation to search for emeralds with a group of distinguished geologists, a gemologist and graduate students from BYU. No emeralds were unearthed, but Anderson did find what he would come to call honeycomb calcite. The discovery came about completely by accident, when topsoil was being removed and workers noticed the “glowing” stone, caused by the sun refracting through the calcite crystals. Comparable to onyx and marble, Honeycomb Calcite can be used for dramatic accents in artistic, decorative and architectural applications. 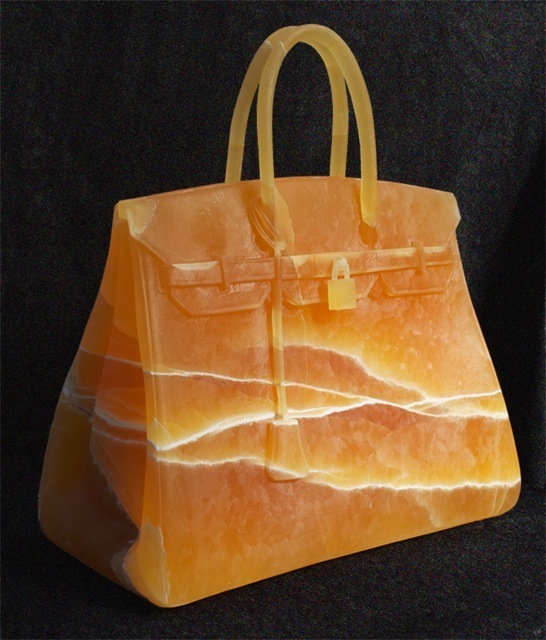 According to the folks at Shamrock Mining, Honeycomb Calcite can look like “just another rock” at first sight. It’s chalky-looking stone that, when the stone is cut, one finds an interior honeycomb-like cellular pattern. The name Honeycomb Calcite comes from the fact that the stone has a honeycomb appearance when the surface is polished. I’ve seen Honeycomb Calcite used in interesting ways - as a bar surface in the Park City restaurant called Handle, formerly Jean Louis, for example. It’s absolutely gorgeous, with colors ranging from soft, sunshine lemon yellow to golden honey amber. Thinner pieces of stone are paler in color, while thicker pieces yield rich amber colors. Shamrock Mining states that “The stone is transparent and translucent, offering a luminous glow when accentuated by artificial, direct or indirect lighting. By 2017, Floyd Anderson was ready to take a break. So he looked for someone to take over his mining business but wanted to leave it in good hands. Jean Stott and her husband Rick relocated from Salt Lake City to Hanna in 2007 in order to do some mining of their own. Rick was searching for Spanish gold and such and went to work for Anderson. Jean, getting bored staying at home, also was hired by Shamrock Mining and now runs the office there. Shamrock Mining is located in Hanna, Utah at 42660 West SR 35 and can be reached at 435-848-5045.